A few months ago, the idea of fundraising my salary confused and scared me. 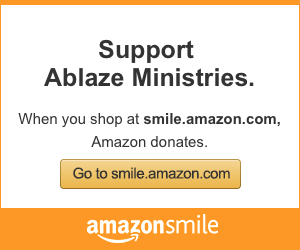 When a friend of mine told me she believed the Lord was calling me to be a missionary with Ablaze Ministries, I laughed at the idea because of my concern with fundraising. I had serious doubts God was calling me to gather donors and fund a mission! After witnessing my missionary friends fundraise their salary, I always praised the Lord that I didn’t have to fundraise my own salary. Not because they didn’t find joy in fundraising, but because I feared not only fundraising enough to survive, but also enough to thrive. The thought of others judging me or looking down upon me for fundraising my salary also scared me. I had never fundraised for anything. It was such a new concept that I knew would bring a lot of discomfort and humility. Once I took this fear to prayer, I began to find peace in fundraising. The week I opened my heart to Ablaze, one of the Gospel passages at Mass was the story of the poor woman’s offering in the temple. In the passage, the woman gives very little but it is all she has, and Jesus commends her for it. This woman barely has anything, yet still gives what she can to God. The Lord showed me that He wanted me, the (overly) frugal person that I am, to give Him what I have and to trust Him with my finances. He wanted me to trust that He would provide my salary. And I was ready to believe Him. I was ready to place my faith (and my paycheck) with Him. The thought of others judging me or looking down upon me for fundraising my salary scared me. With this reassurance, I felt peace about pursuing a missionary lifestyle, and I accepted a position with Ablaze Ministries. After being trained on how to set up an appointment and ask others to join my support team, I headed to my first fundraising appointment. Honestly, I was a nervous wreck. But a few of my co-workers prayed over me, and I received the courage I needed. At that fundraising appointment, I received the opportunity to share my story with one of the holiest mothers I know, and I realized how much I loved getting to spend time with her. When it came time to ask for financial support, she responded with such joy about my mission and a gracious “yes.” This meeting lifted my spirits, helped me to see God’s beauty in fundraising, and encouraged me forward in my mission. Since this first appointment, every support-raising conversation has truly been a gift. I have been blown away by the generosity of others and their excitement to join my mission. One story in particular stands out to me (and you can hear it in the video below!). I met up with a friend of mine who shared that she had been without a job for a few months. However, she was overjoyed to learn about my new job and our mission. When the moment approached for me to make “the ask,” I told her that I understood if she wanted to wait until she had a job. She asked me how much I normally ask for, and she immediately began supporting me for that amount!! (Praise God, she now has a job!) This moment showed me how generous people are, and that people didn’t see fundraising as me begging for money, rather, they were honored and overjoyed to be a part of the mission. During this process, I saw that so much of what I had originally believed about fundraising wasn’t true. Fundraising is not begging for money. Rather, it is an invitation to my friends, family members, and strangers to tithe and join in the mission God is calling me on. Fundraising is not a waste of time or something to just “get over.” It is an opportunity to share my story & the Gospel and to listen to people’s hearts. During my support-raising, I saw hearts soften and tears flow as people experienced the love of Christ. I saw hope grow in others as they were able to strengthen their relationship with the Lord. All of this happened because God sent me into their lives to fundraise! And they had so much joy! They had joy for me, that I had discovered my call, and because I was asking them to join my mission. people didn’t see fundraising as me begging for money, rather, they were honored and overjoyed to be a part of the mission. Now, I praise God that He called me to fundraising, because it truly is a gift. I will always approach a mission with fundraising, because of the fruit that it bears. Fundraising is not a prerequisite. It is a part of the mission! Don’t let fear stop you from the blessing God wants to bring you and so many people. 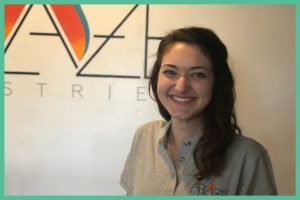 If you would like to learn more about Sarah, visit her profile. Previous Post: Why Are Your Friends Important For Your Soul?